The Cupertino-based tech giant has recently filed a proposal for preliminary ban against the Samsung Galaxy Nexus in the United States for infringing on Apple’s four patents, Florian Mueller of FOSS Patents reports. Apple’s current move is certainly is an aggressive one as the company uses its very strong patents to prove its point. 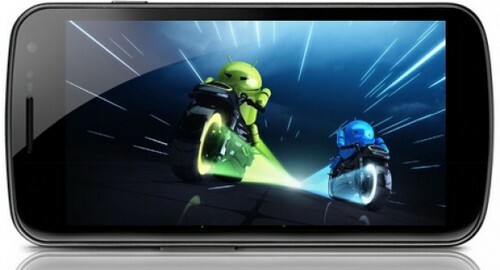 The Samsung Galaxy Nexus is basically a flagship model running a stock version of Android 4.0 or Ice Cream Sandwich and not many changes made in the device itself from the Korean company. This means that any software element – infringing or otherwise – directly related to the search giant, Google. Apple filed the lawsuit late last week. It names four patents including the one that had some success in the past against Android devices, while the remaining three seems to be a big threat for the Google’s business. The four patents mentioned in the complaint include a ‘data tapping’ (a term coined by Mueller) patent, a patent related to Siri’s search functionality, a slide-to-unlock patent and a patent that auto-complete words when typing into iOS. All these patents are somewhat new filings that is why some of them not seen in legal action prior to this motion. In the past, however, we have seen ‘data tapping’ patent bringing some success to Apple against Android devices. This patent has been successfully used by Apple to win an injunction against the import of HTC devices by ITC that begins in the April. Apple has already faced Samsung in different courtrooms all across the world and in some of them it even won the injunctions. Being designed by Samsung, Apple can raise the argument against the Galaxy Nexus as well, claiming that Samsung is obsessive and unapologetic infringer on Apple’s patents. Motorola is another Google-owned company that is under attack by the Cupertino-based company over infringing on its patents. The two companies are against each other in the German courts, while Apple also filed a lawsuit in the US against Motorola for misusing of patent licensing on reasonable, fair non-discriminatory (FRAND) terms. Considering the lawsuits filed by Apple against Android makers, this filing is a significant one as it is based on strong patents and set ups a powerful timeline for a ruling, which one expect within coming months. The current round of filing by Apple against a stock version of Android that is being shipped on a flagship Samsung device indirectly involving Google in the battler as well along with Samsung.